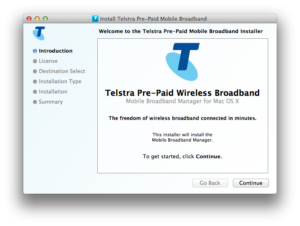 The box features Telstra’s distinctive new ‘rainbow colours’ branding so it’s pretty hard to miss. 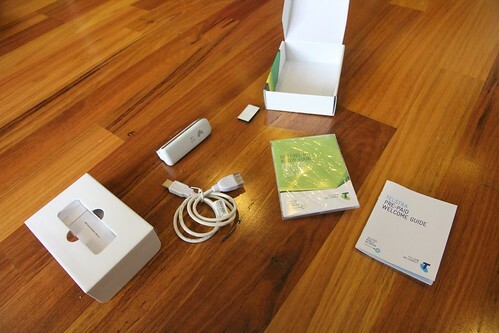 In terms of what’s in the actual box, you’ll find the white modem itself, an adhesive strip in the event you wish to mount it somewhere (a window, your laptop, etc), a short extension lead, your Telstra prepaid welcome guide and a modem quick start guide. Installation was a breeze – as with most things these days, it was plug and play. After plugging it into my MacBook, it showed up as a USB drive containing the installer. Took a few minutes, and after a reboot I was up and running. Of course, first thing I tried was a speed test. Wow. 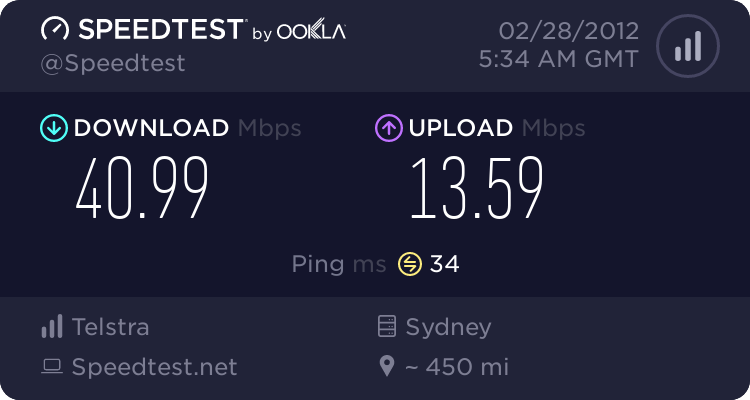 This thing is fast. 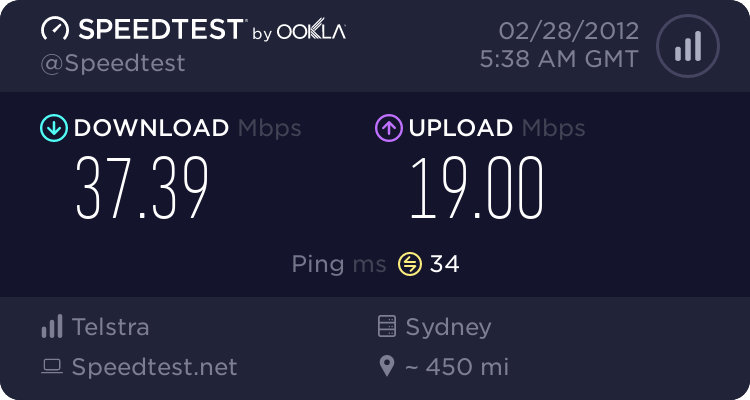 Like, crazy fast. I did a few more, and they’ve all been pretty consistent. 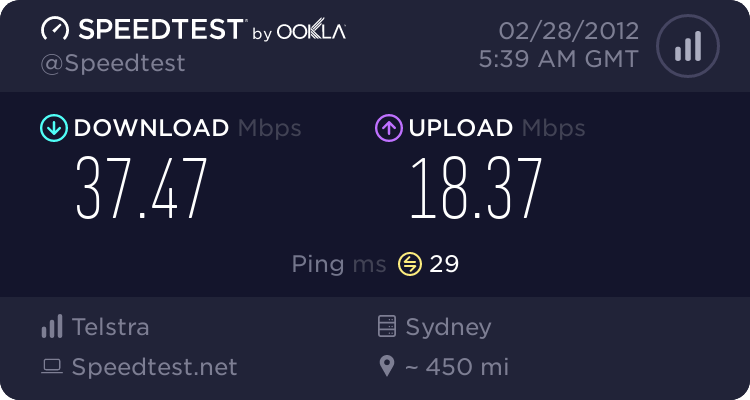 While not as fast as LTE in Newtown, it’s still faster than 3G (tethering from my iPhone) and the slow ping/latency really makes a difference. and other tests were pretty consistent. The modem itself is quite decent for networks in use today, and hopefully into the future. One of my favourite features is the ‘rotating USB’ plug – which means it can be tilted and rotated to suit. Perfect when you’re using a MacBook Pro and would like use of your two USB ports without the modem blocking the other. 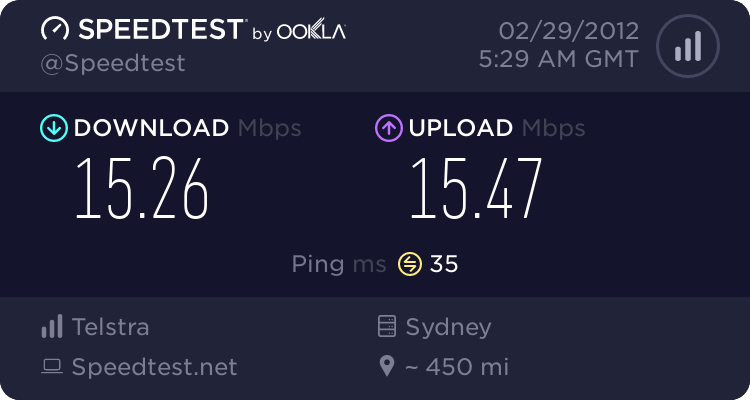 In terms of specifications, it’ll run on all 3G networks in Australia – Telstra’s 850mhz Next G network, Optus/Vodafone’s rural 900mhz network, and everyones’ 2100mhz metro networks. 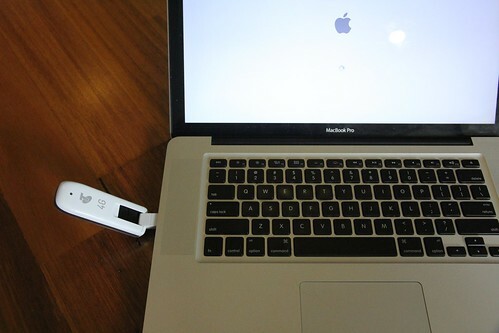 It features a microSD card slot, if you want to use the device as a card reader. It also features dual external antenna sockets. 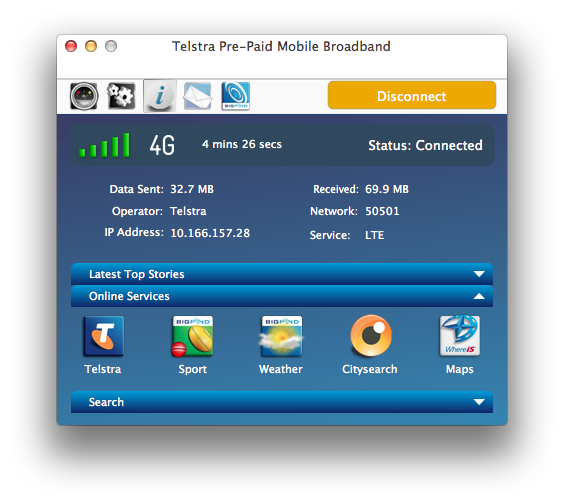 Typical LTE download speeds are advertised at between 2 and 40Mbps, with a theoretical maximum of 100Mbps. 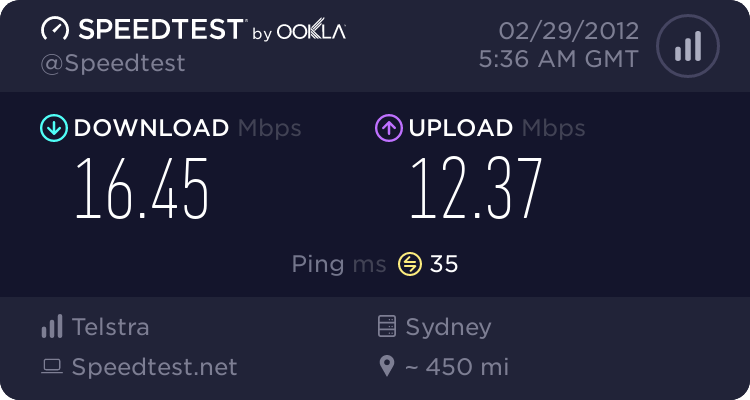 When you’re outside a Telstra LTE coverage area, the modem also supports DC-HSPA+, meaning you’ll get faster 3G speeds than other modems and devices, with a theoretical maximum of 42Mbps. Overall, I think this device is a steal at $129 with 3GB of data included. 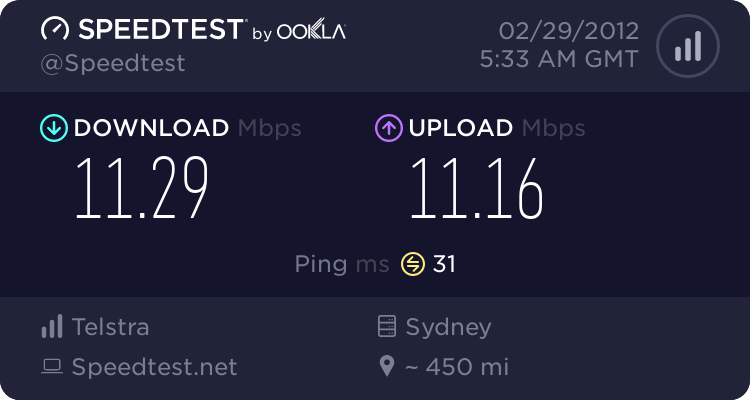 If you need mobile broadband occasionally, usually around capital cities and major regional centres, you’ll love having LTE support. The speed difference between that and 3G is crazy noticeable. 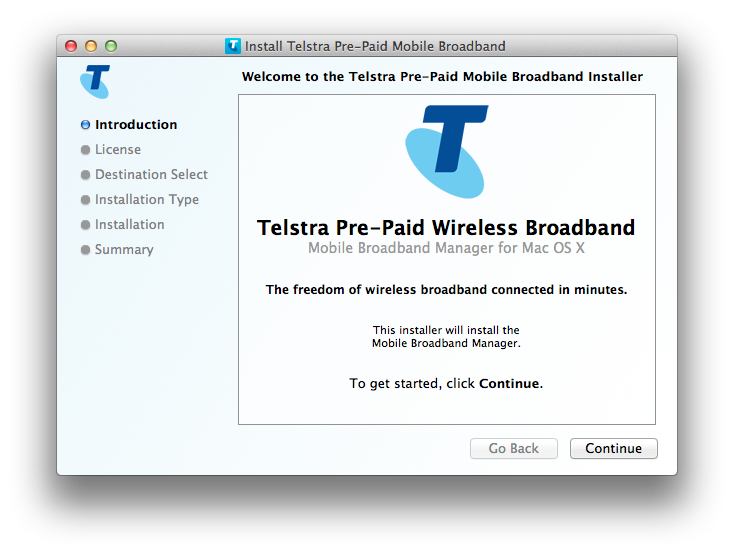 If you wish to use it on other networks in Australia and overseas, Telstra will unlock the device for $100. 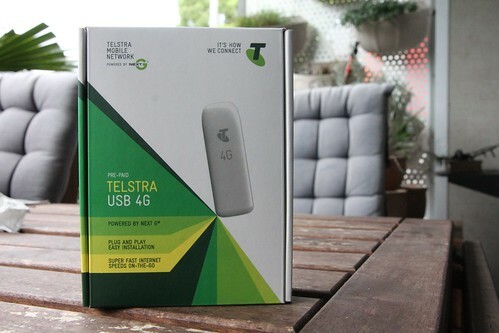 The Telstra Pre-Paid USB 4G is available now in Telstra stores and retailers, in addition to online. 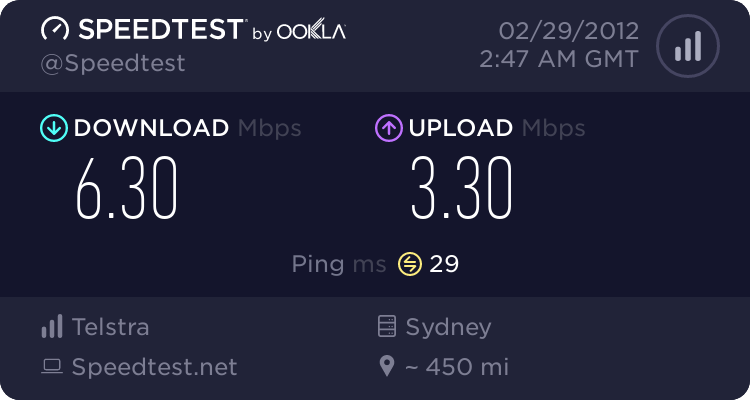 Well …I sure can’t get mine to work properly . 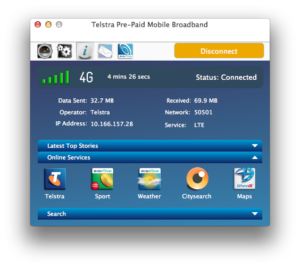 Got the latest software , roof mounted antenna ,tried every Phillipino telstra call phone expert , LOOKED AT 500 WEB SITES . Running osx lion 10.8 . Thinking of having my macbook exorcised.